What is zoning and how is it different from land use? The City of Atlanta is divided into zones or districts that regulate the physical development of the land and limit the uses to which a property may be put. These zoning districts also regulate the height, overall size, and placement of buildings on a lot, the density at which buildings may be constructed, and the number of parking spaces that must accompany each new building. While land use typically is broad (i.e. low-density versus high density residential), zoning sets very specific restrictions on such matters as how tall a structure can be, how far from the street and from property lines, allowable lot coverage, etc. Much of the residential property within NPU-F consists of single-family homes, and these are most often categorized as R-4 zoning. Many of the existing homes were built prior to zoning in the early 19th century and are non-complying with the current zoning code. For example, the standard lot width for R-4 is 70 feet but many of our lots are only 50 feet wide. As a result, existing housing stock may already sit within the required 7-foot side yard setbacks or be closer to the street than allowed. Any modifications to such a structure will require a variance. What is the Comprehensive Development Plan (CDP)? The Comprehensive Development Plan (CDP) is a guide to the growth and development of the City of Atlanta. It sets forth the development vision, policies and an implementation plan for the City and its neighborhoods for the next twenty years. Comprehensive planning is the foundation for quality growth management. The comprehensive plan brings together and addresses all aspects of community and economic functions with the objective of sustaining and improving these functions in the future. The Comprehensive Development Plan addresses, but is not limited to, the following topics: population, economic development, housing, natural resources, historic resources, community facilities, transportation, urban design, and land use. The current Comprehensive Development Plan was adopted on November 21, 2016 and is required by state statute. The Atlanta city charter calls for the plan to be updated every three to five years. The plan can also be changed to accommodate changes in land use (for example to build a high-density mixed-use development in an area that has been specified for low density single family residential use), but such interim changes are difficult and not encouraged. 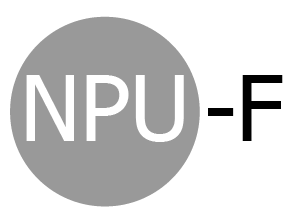 What are the guiding principles NPU-F follows regarding development? In addition to a city-wide comprehensive development plan, NPU-F has established land use policies specifically for our neighborhoods. These polices guide our decisions on recommendations for variances & zoning change applications as well as investments in infrastructure, green space, etc. The Community Work Program (CWP) is a 15-year program that includes unfunded and funded programs, non-capital and capital projects to implement the vision and policies of the Comprehensive Development Plan over the next 15 years. Projects listed in adopted plans since 2004 are included in the CWP. NPU project lists are also included in the CWP. A project must be in the CWP before it can be moved into the CIP Project List. The CIP/CWP must be reviewed by the Atlanta Regional Commission (ARC) and the Georgia Department of Community Affairs (DCA) and adopted by the City of Atlanta by October 31st of each year in order to maintain Qualified Local Government status, which is needed for various State and regional funding and in order to collect local impact fees. City of Atlanta 2017-2021 Capital Improvements Program & Community Work Program. What is the Atlanta City Design? How does it relate to the CDP? On September 6, 2017 we released a plan that envisions what Atlanta could look like in the future. The Atlanta City Design will help guide upcoming decisions on development, investments and influence policy to ensure intentional design for the city. To learn more, view The Atlanta City Design: Aspiring to the Beloved Community.